We offer over 25 years of experience and an established reputation for quality service at an affordable price. We emphasize on personal attention and treat all of our clients like our own family. If you have a German import, we know how to fix it! We are a full service independent auto repair shop for all makes of German cars. Using only original equipment parts, we love what we do and we will get you back on the road in no time! 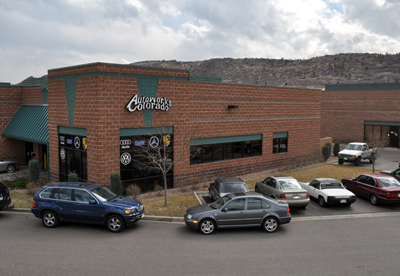 Autoworks Colorado was founded with one specific mission: to provide superior service for Audi, BMW, Mercedes-Benz, Mini, Porsche, and Volkswagen automobiles in the Denver metro area. At a time of changing values, and in a dynamic industry, we employ leading edge technology and expertise within a framework of traditional business ethics and personal service. At Autoworks Colorado, we believe in offering our customers the same excellence in service we would expect to receive. We take pride in offering the right formula of experience, attention to detail, skill, integrity, and competitive pricing. As a small business, we are able to provide a very personal, specialized service. It would be our pleasure to assist you with any auto repair service and performance needs your German vehicle may have.